antiques and grand piano. A sweeping veranda surrounds the three-story mansion, which rests amid an acre of manicured grounds and mature trees. 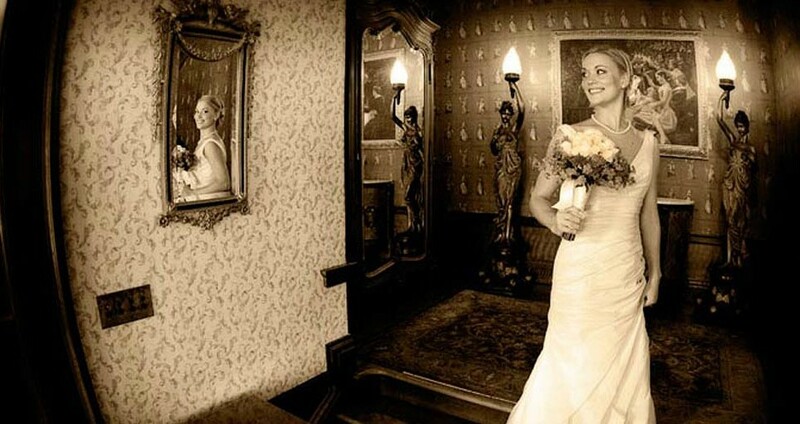 All this makes us one of the finest Napa Valley wedding venues. We offer elopements for the Wedding Couple and up to 25 guests, sit-down dinners for up to 60 guests and buffet dinners with dancing for up to 150 guests. 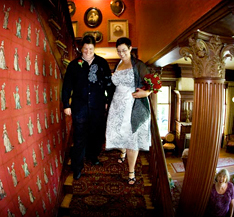 Owners Brian Jensen and Joanna Guidotti have hosted over 1,000 weddings during their tenure. These feature detailed coordination from Joanna and gourmet food prepared on-site by Brian. Experience counts—especially on one of the most important days of your lives. Choose us to host your wedding! Whether your planning a family reunion, anniversary, girls’ getaway, or a milestone birthday celebration, Churchill Manor provides the perfect backdrop for your special event. We are easily accessible from the Bay Area as well as Sacramento and the Central Valley. 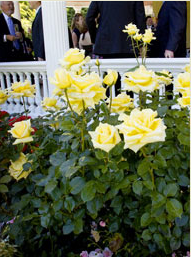 Our innkeepers can coordinate activities to please everyone’s taste. For groups of 20 or more, we also offer catered dinners in the mansion’s original dining room. During the warm weather months of April through October, alfresco dining is also available on the covered veranda. Churchill Manor has tandem bicycles for guests to explore Downtown Napa while others enjoy a game of croquet on the south lawn.